TORONTO, January 14, 2018 – Welcome to the second edition of the weekly Woodbine Snowbirds Report, now in its eighth year, chronicling the winter adventures of Woodbine-based trainers and jockeys currently plying their trade south of the border. This week was a very successful week for trainer Mark Casse, who recorded three winners and four runner-up finishes from 12 starters. All three of Casse’s winners were at Gulfstream Park, including King Ottokar on January 9, Eyeinthesky on January 11, and Catch a Thrill on January 13. 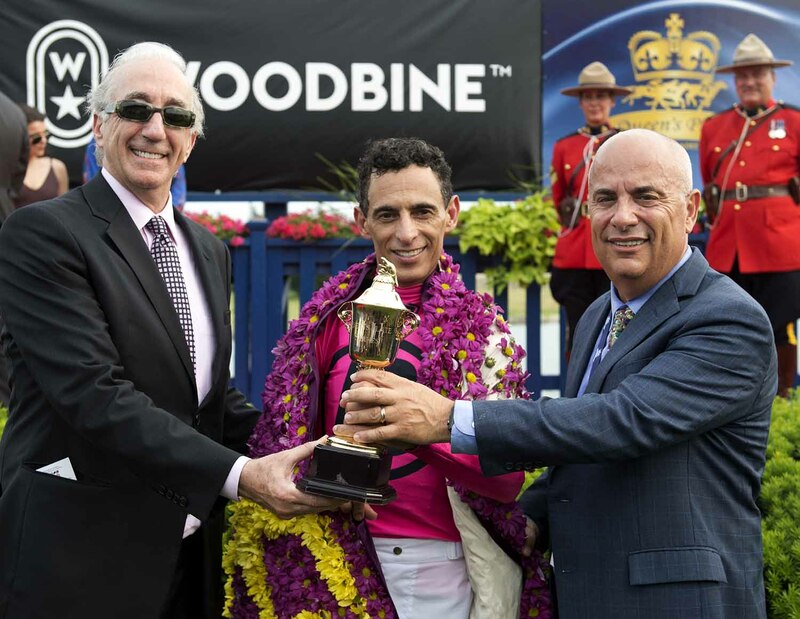 Casse had one of his most successful Woodbine campaigns in 2018. He won 105 races at Woodbine last season, the second highest total of his career, and also won 21 stakes, including the Queen’s Plate with Wonder Gadot. 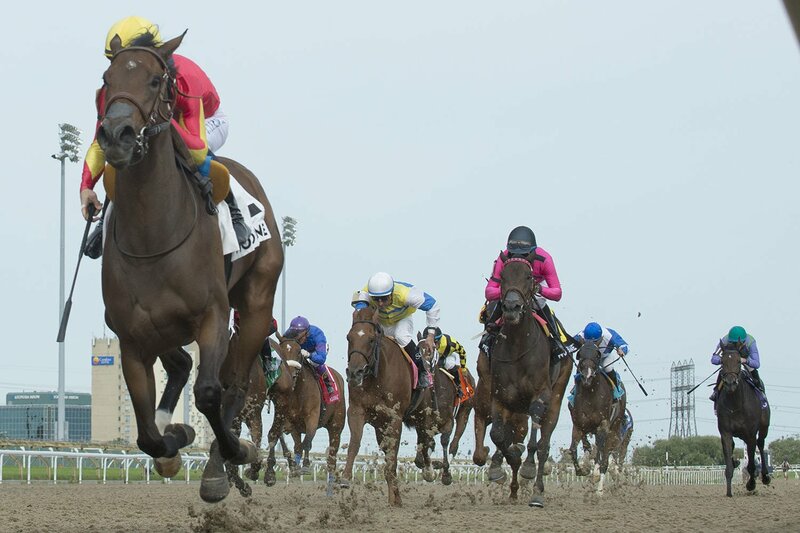 Wonder Gadot went on to win the Prince of Wales Stakes at Fort Erie, and Casse swept all three legs of the Triple Crown with Neepawa in the Breeders’ Stakes back at Woodbine. Casse said he was proud of his Woodbine campaign. Casse has used Woodbine to develop some of the top horses in his stable, with this year’s example being Shamrock Rose. Shamrock Rose was based at Woodbine for most of last season and won the La Lorgnette Stakes in September. From there, she went on to win the Grade 2 Raven Run Stakes at Keeneland and captured the Grade 1 Breeders’ Cup Filly & Mare Sprint at Churchill Downs. She’s a finalist for an Eclipse Award as Champion Female Sprinter. Casse said Shamrock Rose is gearing up to make her next start in the Grade 3, $150,000 Hurricane Bertie Stakes over seven furlongs on dirt at Gulfstream Park as part of the Pegasus World Cup undercard on January 26. Another horse that is gearing up for her 2019 debut is Queen’s Plate winner Wonder Gadot. Wonder Gadot got some time off following her start in the Grade 1 Breeders’ Cup Distaff at Churchill Downs in November and returned to the work tab on January 7 with a three-furlong breeze in 36.20 seconds on dirt at Casse’s training center in Ocala, Florida. Casse said he’d like to see Wonder Gadot progress further in her training before considering a potential target race. After Wonder Gadot’s dominant win in the Queen’s Plate last season, Casse will be looking to another group of three-year-olds this year in search of the third Queen’s Plate victory of his career. Horses leading the Casse crop this time around include Federal Law, Awesome Wok N Roll and Flame Zapper. Federal Law came to Casse following his 11th-place finish in the Grade 1 Summer Stakes at Woodbine back in September. He subsequently won an allowance event in his first start for his new trainer on November 4 and then ran second to Avie’s Flatter two weeks later in the Coronation Futurity. Awesome Wok N Roll, a $650,000 purchase at the Ocala Breeders’ Sales Company’s March two-year-olds in training sale in 2018, is currently based at Fair Grounds following a two-race campaign at Woodbine that saw him finish second in a maiden special weight event on November 23. Casse said he is high on the son of 1997 Queen’s Plate winner Awesome Again. “He’s a horse that we like a lot,” Casse said. Finally, Flame Zapper is an unraced Chiefswood Stable homebred who is a half-brother to multiple graded stakes winner Tiz a Slam. Like Wonder Gadot, Flame Zapper also returned to the work tab for the first time since April 2018 at Casse’s training center on January 7, breezing three furlongs on dirt in 36.60 seconds. Seven Woodbine jockeys were in action last week, including Luis Contreras, who recorded six winners from 10 starters at Sunland Park. The highlight of the week for Contreras came on the January 13 card, where he recorded four winners and a runner-up finish from five mounts. Contreras’ winners last week included Diabolical Time (January 8), Dubdubwatson (January 12), Pendleton (January 13), Lookinforadanger (January 13), The Incident (January 13) and Raagheb (January 13). Ademar Santos also reached the winner’s circle last week, as Drinks On Maggie won the second race at Tampa Bay Downs on January 11. In all, Santos recorded a win, two runner-up finishes and one third-place finish from 16 starters last week. Chantal Sutherland recorded a winner at Fair Grounds last week with D’wildcat Inn during the January 10 card. In all, Sutherland recorded a win, a runner-up finish and two third-place finishes from 12 starters at Fair Grounds last week. Rafael Hernandez came close to the winner’s circle on four separate occasions at Aqueduct last week, finishing second four times from six total starters. Hernandez’s runner-up finishes included Awillaway (January 11), Mystical Song (January 11), Sandy Belle (January 12) and Tousled (January 12). Kirk Johnson recorded a pair of runner-up finishes from six starters at Mahoning Valley last week, as Roam n’ Dance finished second on January 7 and First Victory finished second on January 12. Isabelle Wenc had a pair of mounts at Mahoning Valley last week, as Hibernia Princess finished ninth on January 8 and Biondetti Song finished fifth on January 9. Jerome Lermyte finished 11th aboard Superduper Sky at Fair Grounds on January 12. Here’s a look at how the other Woodbine trainers fared last week, in alphabetical order, starting with Willie Armata, who recorded a runner-up finish from five starters at Penn National last week, as Tinker Ring finished second on January 10. Armata’s other starters of the week included I’se Dubai (4th, January 9), Red At Last (4th, January 10), Court Reporter (4th, January 12) and Majestic Goldminer (5th, January 12). Steven Chircop sent out a pair of runners to fifth-place finishes at Penn National, as Lovin Spoon Phil was fifth on January 10 and L. A. House was fifth on January 12. Michael De Paulo hit the board with one of his two runners at Gulfstream Park last week, as Oh Danny Bear finished third on January 12. Blakey, De Paulo’s other starter of the week, was fourth on January 11. Nicholas Gonzalez recorded a pair of starters last week, including Mondaymorningmemo (12th, January 10) and Integrious (DNF, January 13). Michael Maker had eight in-the-money finishes from 16 starters last week, which included I’m Betty G’s runner-up finish in the Grade 3 Marshua’s River Stakes at Gulfstream Park on January 12. Among those eight in-the-money finishes was five runner-up efforts, from I’m Betty G, Shangroyal (Fair Grounds, January 10), Just Kitten You (Gulfstream Park, January 10), Jailhouse Kitten (Fair Grounds, January 11), and Artemus Bridge (Turfway Park, January 11). John Mattine had one of his two runners hit the board at Gulfstream Park last week, as Caspian Jewel finished third on January 11. Mattine’s other starter of the week, Calais Cove, finished seventh on January 12. Fort of Luxury finished seventh at Gulfstream Park on January 13 for Michael McDonald. Justin Nixon sent out Uncle Shaggy to a sixth-place finish at Laurel Park on January 11. Wolf’s Cry finished eighth at Tampa Bay Downs on January 12 for John Simms. Perfect Tay finished ninth at Gulfstream Park on January 13 for William Tharrenos. Daniel Vella’s lone starter of the week, Stroll to the Beat, finished eighth at Gulfstream Park on January 11. 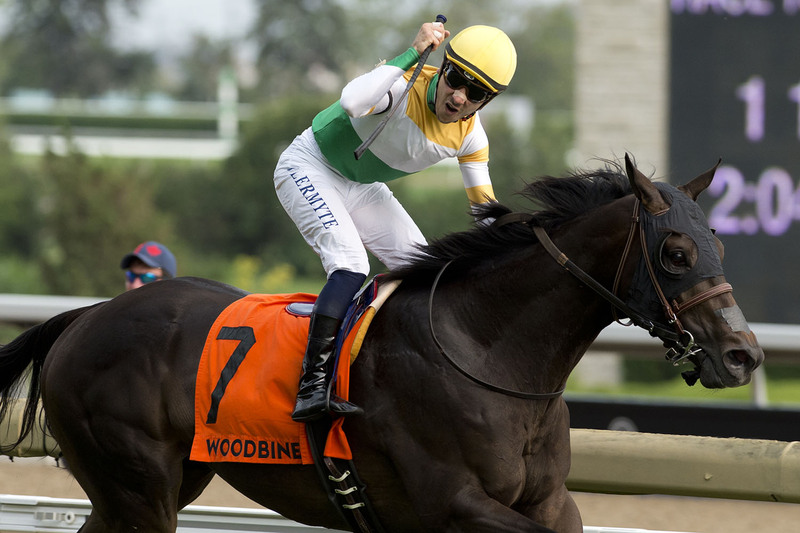 This entry was posted in Woodbine News and tagged 2019 Queen's Plate, Ademar Santos, Awesome Wok N Roll, Chantal Sutherland, Federal Law, Flame Zapper, Horse Racing, Luis Contreras, Mark Casse, Neepawa, Shamrock Rose, Snowbirds Report, Wonder Gadot, Woodbine. Bookmark the permalink.